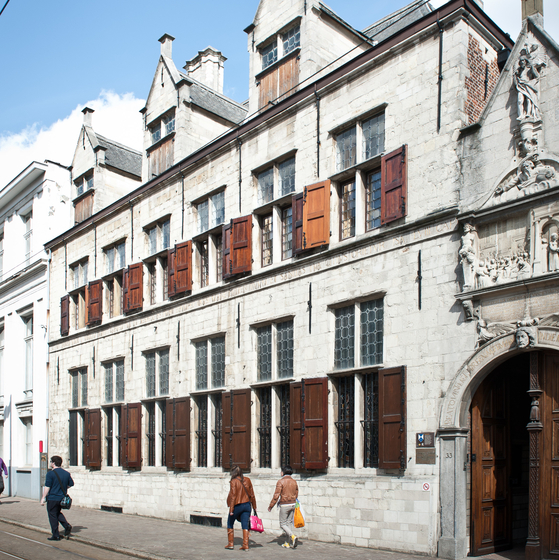 The “Handelsbeurs” (New Exchange) was built in 1531, as the Old Exchange on Hofstraat had become too small. It was the first exchange ever built specifically for this use, and became the model for other exchanges all over the world. The Stock Exchange was opened in 1531 to replace the old stock exchange in Hofstraat. The building, which was designed by the Antwerp architect, Domien De Waghemakere (1460-1542), burnt down on two occasions, in 1583 and 1858. After the last fire the Stock Exchangeor Handelsbeurs was rebuilt in a rather opulent neo-Gothic style. Unfortunately you can no longer visit this stunning building. 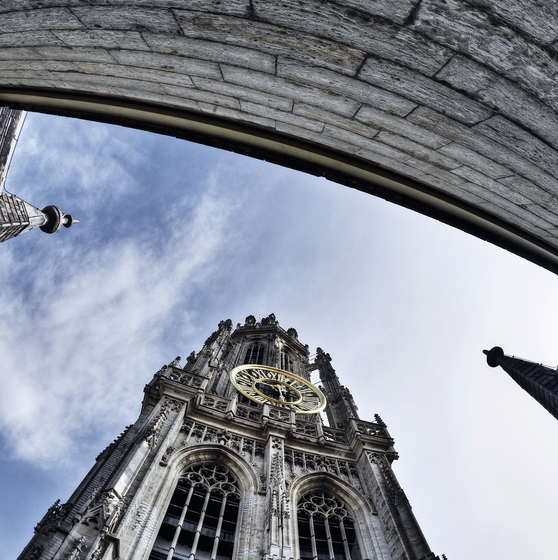 It took 169 years (1352-1521) of labour to raise the 123m heavenward-reaching steeple of the Cathedral, the highest Gothic building in the Low Countries. The Cathedral is an iconic treasury, with an impressive collection of major art works, including a series of paintings by Rubens. Now, after twenty years, the seven-naved church has been restored to its former architectural glory. Fascinating features include Rubens’ ‘Elevation of the Cross’ and his ‘Descent from the Cross’. Any visit to Antwerp starts with a visit of the Cathedral of Our Lady. 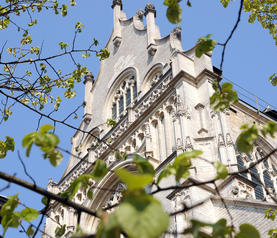 Near the river Scheldt you find Saint Paul’s Church, the former Dominican church, which was completed in 1639. The Antwerp Central Station, also known as Middenstatie (Middle station) or Spoorwegkathedraal (Railroad Cathedral), was first used in 1905. The structure is made up from a steel platform covering and a stone station building in an eclectic style. Recently, the station was completely renovated and in 2007 a tunnel underneath the station and a part of Antwerp was opened, reverting the station’s status as a terminus where are all trains have to turn back. 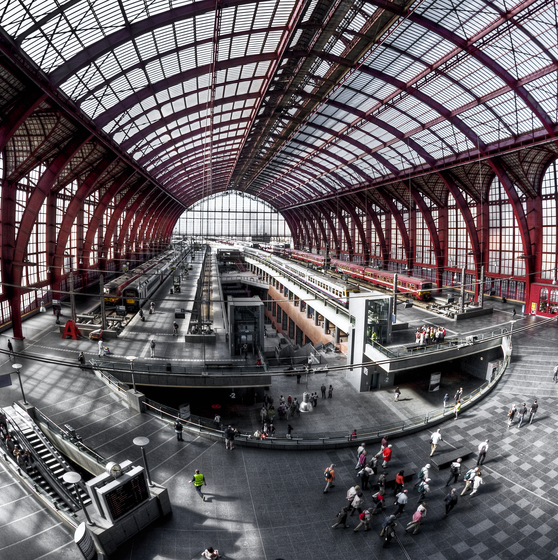 In 2009, the American magazine Newsweek chose the Antwerp Central Station as the fourth most beautiful train station in the world. 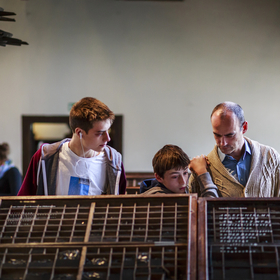 Discover the collection of art from the 15th to 17th century of this former orphanage for girls.